16 But not all obeyed the gospel. For Isaiah says, “Lord, who believed our message?” (Isaiah 53:1) 17 So then, faith comes from hearing the message, and the message comes through the word of Christ. Today we installed the officers of the Divine Peace Executive Committee. Over the past years this group has met in order to strategize how we can best use the time, talents and treasures of God’s people at Divine Peace. We talk about vision, ministry, and resolve to accomplish these things under God’s gracious hand and blessing. However, you’re probably familiar with making resolutions to get things done, very often they fail. They often reflect the same thing that people experience when they make New Year’s Resolutions. If you’re not aware, here’s a summary: Most people don’t keep them. Approximately 80 percent of people who make New Year’s resolutions have dropped them by the time February rolls around (www.inc.com). So why is it that people can’t reach their goals? What may surprise you is that the problem usually doesn’t lie with the goals we set. Whether it’s a small, seemingly easily achievable goal or a huge, life-changing goal, people tend to fail at the same rate. While it is obviously harder to achieve a BIG goal than a micro-goal, the difficulty of the goal you set isn’t nearly as important as whether or not you create the right process to achieve that goal—and whether you follow the process you create. Otherwise, you’re just wishing and hoping. You have great intentions, but without a real plan to follow… your chances for success are almost nonexistent. Which is why the very first thing you should do after you make a New Year’s resolution — or after you set any big goal — is to create a process that will allow you to actually achieve your goal. In short, don’t make your goal your New Year’s resolution. Make your plan your New Year’s resolution. Do that, and you’ll succeed where so many others fail. Does this bold statement stand in light of all the other bold trust we have all around us that fails? “Everyone” is totally inclusive of all people; it doesn’t make any difference how many degrees or friends or teeth you have. is an activity that any human being can do. identifies the object of faith with a specific identity: the Lord God who can do all things. promises total resolution and salvation. Yes, this faith cannot fail! They had fishing expertise, but it would have been wrong for them to trust in their fishing ability (or lack thereof) instead of trusting in Jesus, who made a specific command and promise. So, their faith received what God had promised and offered. Their faith rested on God’s promises that did not fail. This isn’t rocket science, but I sure can give you an example of what happens when communication fails. If I had a RAM 1500 pick up truck with the possibility that my cruise control would not turn off either by pushing the brake or manually turning off the system resulting in the truck continuing to cruise down the road, why wouldn’t I take it into the dealership for repair? Maybe because I don’t see the need. And why don’t I see the need to go visit the dealer? Because I haven’t heard about the recall. And why haven’t I heard about this recall for my truck? Because I haven’t been notified. And why haven’t I been notified? Because the post card that I should have received with the notification was thrown away into the trash without me seeing it. Sounds like Communication Complications to me! And if this scenario is repeated with thousands of RAMS on the road it could mean we are driving with the danger of crashing or being smashed into by a RAM driver! So look out! So what’s the hang up? Why aren’t there more people in the world running into church in order to receive the blessings of strong faith that God wants them to have from the proclamation of Word and Sacrament? Why don’t my children appreciate the power of the gospel like I do? Why are there so many of our own church members who see little value in attending worship regularly as God commands? Sounds like Communication Complications to me! Unless the communication lines from the Gospel to their ears have been operating as God intended, and they still don’t believe. If someone doesn’t believe then we must ask ourselves if we have been diligent and clear in our communication of the Gospel to them, how clearly am I sharing Jesus, how clearly am I modeling my faith in Jesus, and how seriously is my church in prioritizing evangelism—that is sharing the Good News with our neighbors? So, let’s get started right away! Let’s think about clear communication….like a baby. (I have experience in this department now). How many times does a little one hear the words “mommy” or “daddy” before the say “mama” or “dada”? How many times will that child see the picture of a cow in the book and hear the words “mooo” before they make the sound? We learn our speaking by our hearing. You get it! People need to hear the Gospel. We need to share the Gospel. The power to clearly communicate the Gospel comes from the Lord speaking to us, again and again, the Word of Christ, the Word of Courage and Hope, the Word of Assurance, the Word of forgiveness, the Word of Grace, Mercy and peace. Believe in the Lord Jesus Christ and you have faith that will not fail. I’m very thankful for the officers of our congregation that have been elected to serve our congregation. If history repeats itself, I would imagine that we will spend time making strategic plans using the time, talents and treasures of this congregation to proclaim Jesus. God has given us the process for faith that will not fail by giving us the Gospel in Word and Sacrament. 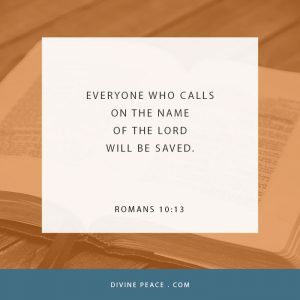 For when we proclaim Jesus clearly, people will hear. When people hear they will be exposed to the gospel—the power of God for salvation for all who believe. Then they can join you to have faith that will not fail because it’s based on God’s promises. Amen!